Courses are Unpublished. By default, all courses that are created in Canvas will come across as unpublished. When a course is unpublished, it’s only visible to you – and students will not see the course. Once you have your content loaded up into the course and ready to go, simply hit the “Publish” button in the top right corner on the course home page. For more information see: Canvas Guide: How do I publish a course? Course Combinations. Do you want to combine multiple sections of the same course into a single Canvas course? Follow the steps in the Cross-Listing/Merging Canvas Courses guide. If you need to combine courses that you are not the teacher for or if you have any questions please contact Canvas support. Import your content (Master Course). If you have been working in a Master (Blank) course inside of Canvas – great! You can easily copy that content into your semester course and then you’ll be ready to go! Follow these steps to Copy Content from an Existing Canvas Course. Import your content (Desire2Learn). If you want to pull content directly over from Desire2Learn into your Canvas course – we got you covered! Follow these steps to Export your Desire2Learn Course and Import it into Canvas. Keep in mind, there will be some adjustments you need to make – so don’t want until the last minute. Check out the D2L Course Complexity App for more information. Canvas Support. As a reminder, with Canvas we do have 24/7/365 Phone, Chat and Email Support (links on the login page)! Please direct all questions to Canvas support. If they cannot assist you, they will escalate the issue to local support at UW-Whitewater. Desire2Learn Users: Winterim 2019 and Spring 2019 Course Requests are now available. You can request for your course at: http://my.uww.edu/d2lrequest Contact Desire2Learn Support with any questions. As a reminder, starting in Summer 2019 all courses must be taught in Canvas and Desire2Learn course requests will no longer be available. 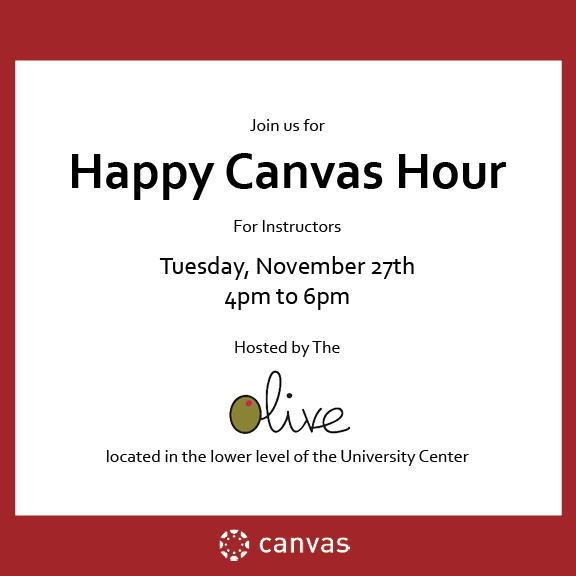 Join us for Happy Canvas Hour! Bring your Canvas questions and join us! We’ll have an informal gathering on Tuesday, November 27th from 4pm to 6pm at the Olive – located in the lower level of the University Center. This week, I wanted to explore some reflections on giving and receiving feedback in the context of an academic setting, share a specific tip as it applies to Speed Grader in Canvas, and finally highlight an upcoming LEARN / LTC workshop that will also explore feedback. For feedback to be effective it needs a context in which learners have both the ability and opportunity to hear, understand, and act on that feedback. It should help learners reach a goal – provide clarity of what they did well or not do well, and how they can improve that work. Research shows that good feedback should be formative – it should help to improve performance or increase understanding. Feedback should be timely — happen at a moment when it is possible to learn and change. Finally, feedback should be descriptive – directed at fulfilling some clearly defined goal. Another way to put it is that feedback should tell a student what they accomplished (descriptive), what they were asked to accomplish (goal referenced), and what they must do next (goal directed). With that in mind, I want to share an example of actual feedback. It is fortunately not my onus of shame for personally receiving it; however, I was witness when my classmate actually did. It was so laden with ink it actually dripped red. It was fresh. This is likely not the type of feedback I would recommend using, but it is another example of how Fr. William Ryan, SJ made an impression on terrified students. I introduced Fr. Ryan in my Ted Tips Issue 9: First Impressions. This type of feedback definitely made a powerful first impression… and I apologize if I have inadvertently increased your anxiety! What tools are available to assist in providing good feedback in Canvas? Providing feedback in Canvas, has never been easier! Canvas offers a tremendous tool: Speed Grader. 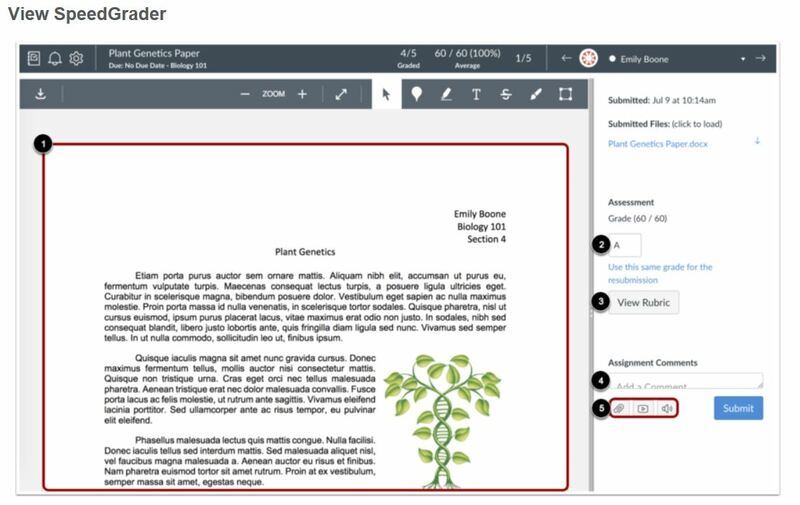 Speed grader allows you to view and grade student assignment submissions in one place. You do not need to download papers, then mark them up, and upload them. Instead, you can directly assign points or use rubrics. Canvas accepts a variety of document formats including URL submissions. 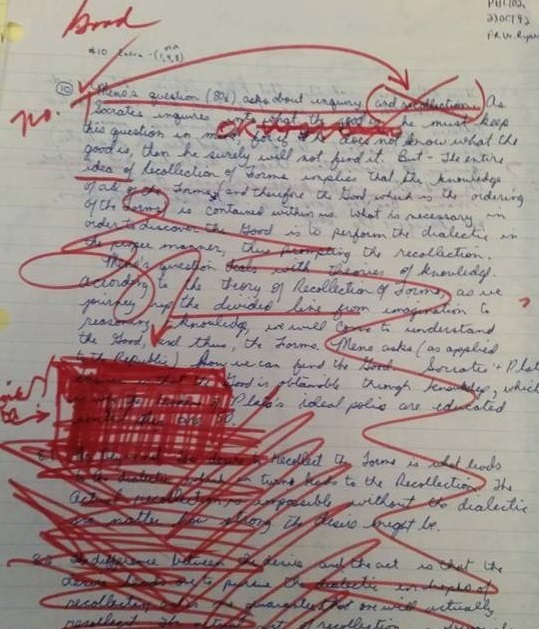 Some document assignments can be marked up for feedback directly within the submission. You can also provide feedback to your students with text or media comments. View student submissions (text entries, website URLs, media recordings, and/or file uploads). Many file types are able to be previewed directly. 524 – SpeedGrader™ Overview from Instructure Community on Vimeo. If you are interested in learning more about feedback and strategies, I want to up invite you to check out then next LEARN Center / LTC workshop in the 2018-2019 “Back to Basics to Balance Workload.” Next Workshop: Focused Strategies for Providing Formative Assessment by Dana Prodoehl, Alexis Piper, Trudi Witonsky. At this workshop, panelists will draw on current pedagogy to discuss strategies for providing focused feedback to students at they are engaged in active learning activities. Some of the strategies will be time-saving. Others help instructors direct feedback in productive ways to foster student learning and development. An LTC representative will also be on hand to provide a brief overview of some of the feedback tools in Canvas, along with tips for utilizing them. Canvas and Desire2Learn (D2L) share much of the same functionality, but with the move to Canvas there might be confusion about some of the details about how to get the desired results for your courses. One of the most common questions we are seeing is about how students will access Online Discussions inside the course. While the advice below was prompted by the questions about Discussions, the same is true for Quizzes and Assignments. In D2L there was a dedicated “Discussions” button that could be added to the navigation bar. In Canvas, this same button exists, but it is only available to Instructors for building purposes. There are two ways to make sure students can access your discussions; place the Discussions in Modules, or make them Graded. The best way to make sure students can find discussions is to place them in your Modules in the most appropriate location. Most courses are separated into units, and the discussion can be placed into the appropriate unit for when the Discussion starts. Other instructors may create a separate unit just for ongoing discussions that are meant to cross multiple units. It is also worth knowing that all items that are worth points will be visible to students in the Assignments area. This includes quizzes and discussions. While we would encourage you to include those items in your Modules, they will also be added to Assignments for you automatically. If you have additional questions about Canvas please reach out to 24/7/365 support by going to http://uww.edu/canvas. The LTC will be offering both Canvas Hands-On Introduction, Canvas Construction Zone and Canvas Deep Dive sessions during the Fall 2018 semester. We will cover the basic function of the core tools in the Canvas platform. There will be time to ask questions along the way. If this is your first time touching Canvas, this workshop is the one for you! Canvas Construction Zone (1 Hour) + Bonus Hour! Are you ready to start digging into your course setup? Do you need help straightening up after moving a course from Desire2Learn (D2L) into Canvas? Do you have questions on how to set things up? This is the session for you! This session will be 1 hour of lab time with support staff on hand to help you construct your course in Canvas. There is also an optional 1 hour lab time directly after this workshop if you want to stick around and keep working. Don’t forget your hard hat! We will focus on a single tool, and dive deep into various options and use cases for how that tool works. Content: This is delivered on the concept of backwards design driving the look and feel of course setup. It is about taking what you already do and molding a better experience for you and your students. Quizzes: This will touch on different question types, building in targeted feedback in auto-graded quizzes, and most likely spend the bulk of the time in the Question Bank area to help instructors get a feel for how Canvas Question Bank is different than D2L Question Library. Discussions: We will look at setup (including threaded vs unthreaded), visibility, the lack of a “Forum” in Canvas (compared to how D2L had it), group setup, and grading. Grades: Weighting grades, Late policies, Muting Assignments, SpeedGrader, setting a default grade, and setting up extra credit. I am always excited to start a new semester. This week, I want to introduce you to the LTC peer mentors and recount a conversation with Jodi Galvan from the College of Arts and Communication. Based on that conversation, Jodi and I share some frequently asked questions (and answers) from the first week of class. Finally, I want to provide a Canvas specific Tip that can help faculty meet accommodations for students that need additional time on quizzes and exams. I had the opportunity to work with one the canvas peer mentors, Jodi Galvan, during a recent Canvas Deep Dive focusing on Content. She was effortlessly reminding folks about where to start for searching for information about canvas – the Canvas Guides. I sat down with her later and wanted to get some more information about her, her passions, and tips she had for her peers about working online and working in Canvas. Ted: How did you get involved in the Canvas peer mentor program? Jodi: I am passionate about teaching. My first classes were on ground and eventually I transitioned to hybrid and then fully online courses. 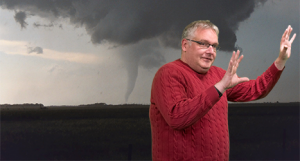 When the call went out for faculty to help with Canvas, I eventually answered it. Ted: What’s the most important thing that keeps you passionate about teaching? Jodi: It is always about the students. What can I do for them? How I can help them to succeed? The students are the most important thing. Ted: What the biggest lesson you learned as a teacher working online? Jodi: Teaching online is a different beast. It takes a lot of time teaching online to prepare and respond to students. You have to be “ON” 24/7 and prepared to answer texts and respond to email and messages. A lot of dedication goes into being a good teacher. Being a online learner takes effort too – you have to be prepared to look around, take more direction of your own learning, and be willing to ask questions. It is more self-directed – even with the best guidance and help it can seem easy to get lost. When it applies to Canvas, take time to look around and be patient. There is a learning curve for everyone including your instructors. Nevertheless, we are here to figure it out together. Ted: What advice would you offer a student to be able to find their path and be successful when working in Canvas? Jodi: Start at the Home page. Look for announcements and messages from your faculty members because your success is important to them. They will likely try to communicate you to help you Look for other tools: The syllabus tab has a list of assignments and due dates. The “View Calendar” tab, on the “Home” page, also shows all of your assignments and due dates. When on the “Home” page, be sure you are looking for weekly content, links, presentations, etc. Be active as student…try to take control of your own education. Finally: READ! Jodi was kind enough to help share some of the most common questions she has heard this first week, and they are incredibly applicable to both on ground and online courses! We wanted to share some of the questions and answers and compile them for you! I know her number one question was the same on Tuesday as students were wandering around looking for their classrooms! Q: Where do I go? Where is my class? A: Start at the UWW login page http://www.uww.edu/. Click on the “Canvas” or “D2L” button depending on what your class. Then click on the big “Login Here!” button. Enter your Net-ID. Choose your class. Ask your instructor if you cannot find your course in either Canvas or D2L. Q: Is there an App for Canvas? A: Yes! Start with the Mobile Guide for students. Find the guide that fits your device (Android or iOS). Go to the Play store or App Store and download the appropriate app. Q: Help! I cannot do something in Canvas I need to. How do I get help? A: The Canvas Guides (found in the left hand navigation bar under the “Help?” tab) are a great resource if you have a question about Canvas. If you cannot find your answer in the “Canvas Guides” then you have 24/7/365 Canvas support. You can access tech support from the Canvas homepage or by going to the “Help?” tab in the left hand navigation bar. You can call, chat, or email for help. Pro tip: Chat actually works really well – it is immediate, interactive, and helps troubleshoot what you are looking for. You will also get a transcript of the conversation. Jodi shared another common question. I have been getting messages from CSD for student accommodations (specifically for extra time on quizzes). Here are the steps to add extra time to specific students’ quizzes or tests. Complete the above steps for each of your quizzes/tests. 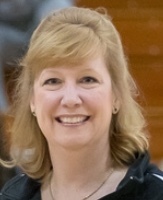 I really want to thank Jodi Galvan for her conversation, passion, and dedication for student success. I really enjoyed interviewing her for this article and appreciated her help in the canvas deep dive workshop a couple of week ago. All of the Canvas peer mentors are tremendous resources and I appreciate their continued willingness to work with and support faculty! Next week: What are some efficient and effective communication strategies that can help improve student learning without overloading your workload! Welcome Back Students! Have you signed into Canvas yet? 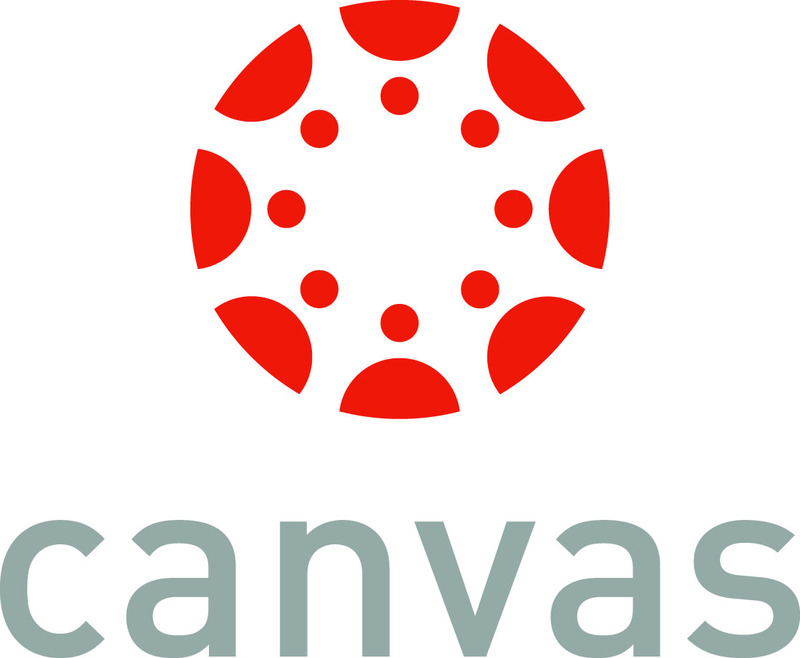 The University of Wisconsin System is transitioning from Desire2Learn (D2L) to Canvas. Here is what you should know for the Fall Semester. Courses may be in either Canvas or D2L. During the Fall 2018, Winter 2019 and Spring 2019 semesters instructors have the option to use either Desire2learn or Canvas for their courses. If you aren’t sure where to find your course, be sure to ask your instructor and they can point you in the right direction. Canvas 24/7/365 support is available for all users. Most students are already familiar with the D2L Support Form, but what happens when a student needs help with Canvas? You can contact the Canvas 24/7/365 Support team. You can find the Chat and E-mail options on both the Canvas Login Page and in the Help button in the lower left hand corner after you are logged in. If you prefer to call someone, you can reach the 24/7/365 Support at 1-833-811-3207. Informational Tables Available 9/4-9/7. During the first week of classes ICIT will bat at various places around campus to chat with students. See the list below for details, or just keep an eye out for us. If you have questions regarding the Canvas Transition, please contact the UW-W Learning Technology Center. The LTC will be offering both Canvas Hands-On Introduction and Canvas Construction Zone sessions during the month of August. We are planning to offer additional sessions during the Fall 2018 semester. Are you ready to start digging into your course setup? Do you need help straightening up after moving a course from D2L into Canvas? Do you have questions on how to set things up? This is the session for you! This session will be 2 hours of lab time with support staff on hand to help you construct your course in Canvas. Don’t forget your hard hat! We will be offering a mix of the above workshops during the Fall 2018 Welcome Back events! TED Tips – Issue 1: Introduction and Hello! Hi all! Welcome to TED Tips…a weekly blog brought to you by the Learning Technology Center. I wanted to take brief second to introduce myself, welcome you to my blog “TED” Tips, and invite you to interact with the Learning Technology Center and me. So Hi! My name is Ted Witt. My official job title at the Learning and Technology Center is “Teaching Learning and Technology Consultant”. What exactly does that mean? It means I am a champion for the effective use of technology. I do not believe we should use technology because it is the latest cool toy or fad, but to explore possibilities and its strategic implementation and effective use. I do this primarily through supporting instructors through the pedagogically sound use in your teaching. I support faculty training programs and workshops. For example, this summer I am working with the Active Learning Academy and supporting the Online Blended Institute through the LTC. I also administer the Quality Matters standards. I have been an information technology teacher and have taught both on ground and online courses. I have a BA in History and Political Science with a minor in Philosophy; a Master of Science in Information Technology with a specialization in Business Intelligence and Knowledge Management; and a Master of Arts in Liberal Arts. Why am I calling this blog TED Tips? Yes, I am blatantly adapting the idea from TED talks but, no I am not related to them…despite the similarity with my name! Here TED does not just stand for the author writing the blog but the main themes I hope to explore over the coming weeks: Technology, Education, and Design. What do I mean by each of those? Technology – I strongly believe it is important to know our technological environment and how to use the tools we have available to us. What options do we have? How do we use them? These are the types of topics the blog will explore. Education – with a focus on pedagogy. Once we know how to use the technology…how do use it well. How do we use it to enhance our teaching and improve student success? This aspect of the blog will look at different approaches and uses and how we can apply those tools in the classroom. Design – Once we have explored technology, looked at sound approaches, how do we design the experiences and implement them thoughtfully? This portion of the blog will focus on “How to” practical tips with an emphasis on putting those skills to use. My goal is to help you create rich meaningful learning experiences and the purpose of the blog will help provide you with tips to do that. The final purpose is to celebrate the good work we are doing and encourage collaboration. I will share success stories. I want to highlight some of the work going on in the Learning Technology Center and on campus as it relates to those TED themes! I also work for Major League Baseball in their statistics department and can often be found at Miller Park. My nickname is “doc clock”. I am a certified weather spotter with the national weather service. My humor is dry because I am only a Half-Witt. I am looking forward to working with you in the future and encourage you to contact me through the Learning Technology Center. I am available for one on one consultations. The LTC has upcoming workshops: A Teaching with WebEx Teams Boot camp, Hands on Introductions to Canvas, and Canvas Construction Zones. Next week: What is a Learning Management System? Earlier today (June 19th, 2018), we sent out invitations to the Canvas Instructor Training Course. We discovered after the fact, that the link included in the email does not actually work as intended. Please follow these steps to join the Canvas Instructor Training Course. Go to http://www.uww.edu/canvas and click on the “Login” button. Login using your UW-W Net-ID and Password. If this is your first time accessing Canvas, review and agree to the terms of services. On the Canvas Dashboard, you will see a message at the very top of the screen. Click on “Accept” to join the Canvas Instructor Training Course. If you do not want to be in the course, you can click on Decline. If you continue to have issues accessing the course or did not receive an invitation and would like to be added, please reach out to Canvas Support.